PHR stands for Patient Health Records. For appointments with a naturopathic doctor, nutritionist, therapist, or health coach all of your health history information will be kept in this HIPAA compliant online health records system. You will fill out your intake forms there and be able to upload lab results and communicate securely with your provider throughout your care at Wellness Minneapolis. Please note that we do not use charm for scheduling or prescribing supplements. Our calendar and appointments can be accessed here. Your supplement recommendations will be listed in your treatment plan and on fullscript where you can order refills and have supplements shipped to your home. 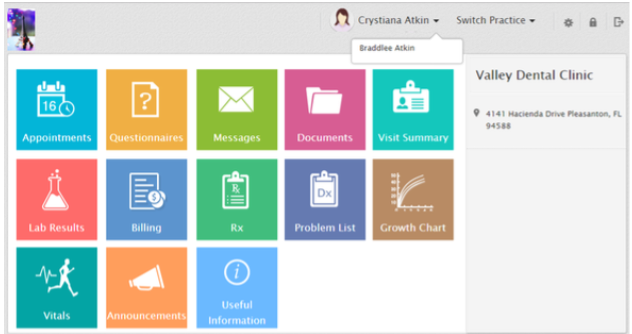 How do I access Charm PHR? Access Charm PHR by following this link. 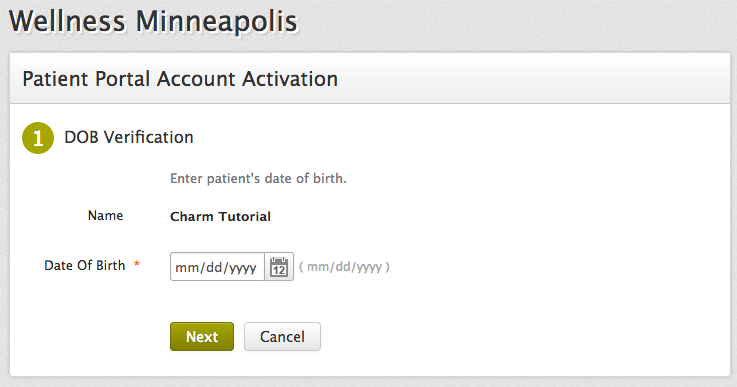 The first time you log in to Charm you will need to access the site through an email invitation sent by your provider. The email will be from Wellness Minneapolis with "Patient Portal Registration" in the subject line. If you can't find it, check your spam folder or give the clinic a call. Once you have followed the email link, you will need to verify your identity with your date of birth. 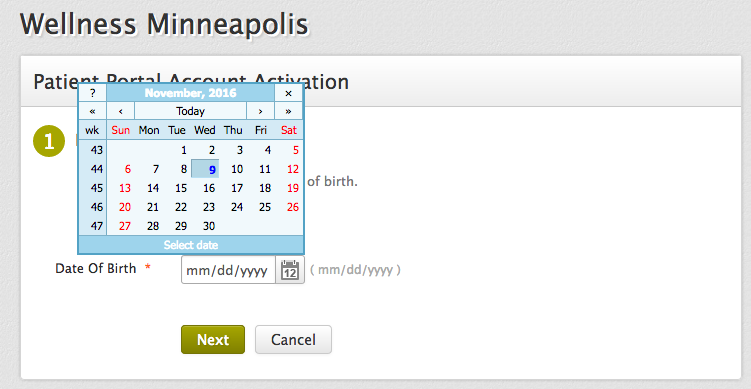 Select the correct year, month, and date from the calendar and click next. If you see an error message call the clinic to verify we have your correct birth date in our records. After you have entered your date of birth you will be able to create a login ID and password to use in the future. 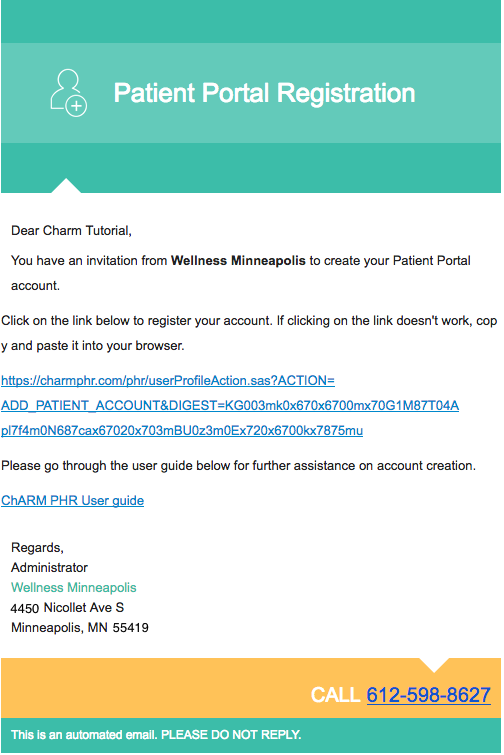 If you have used Charm in the past with a different clinic or another provider here at Wellness Minneapolis, you will login with your old login ID and password. After you have created a login ID and password you can log in without the email link by following this link for Charm PHR Portal. Why do I have to create a new account for each provider? Every provider at Wellness Minneapolis is an independent contractor and in charge of their own practice. For security reasons, any time you see a different provider at Wellness Minneapolis you will have to go through the email and date of birth verification process described above, just as if you were creating a new account.The good news is that as long as the same email account is used you will only have to login once to access all of your information and records with each provider. 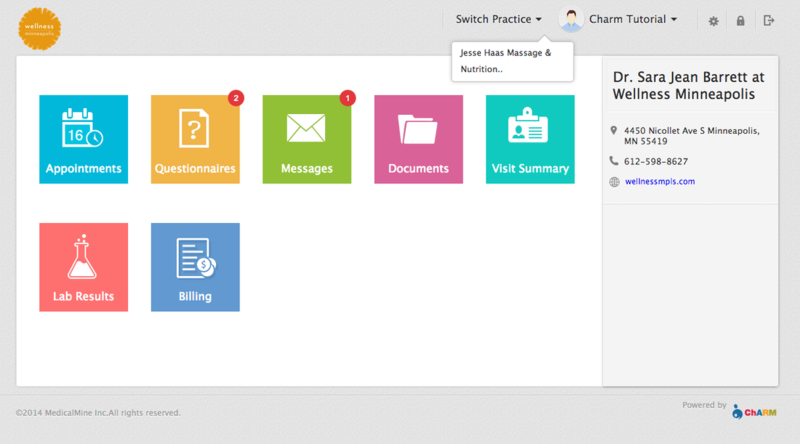 To switch providers within Charm you simply need to select the correct name from your list of providers under "Switch Practice" at the top of your Charm home screen. The provider listed on the right side of the screen is the provider that is currently selected. You will only see questionnaires, messages, and other alerts from the provider selected. How do I add a provider to my existing account? You will receive an email from the new provider. Make sure you are logged out of your charm account before opening the email. Enter your existing login ID and password. Toggle between providers at the top right of the screen as seen in the image above. Can I access my child's account? If your child is a pediatric patient of Wellness Minneapolis, your email will be used to create their account and you will communicate with their provider on their behalf. If your child is over 18 or you choose to let them fill out their own health history forms, they will have their own login ID and password that they can choose to share with you. Can my whole family be under the same account? How do I upload labs, imaging and other documents to share with my provider? Once you login, click on the documents cube. From there you will see a blue button "share file". Once you select your file choose your providers name so they are alerted that a file is uploaded. Follow the pictures below for more details.